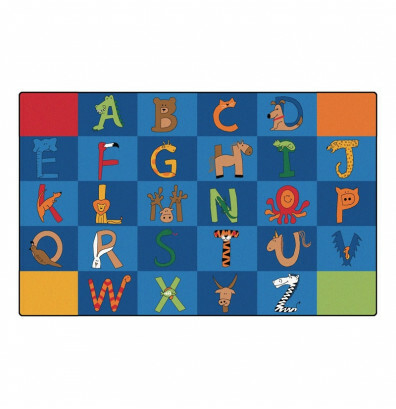 Carpets for Kids A to Z animals classroom rug offers durable nylon fiber construction. Colorful graphics feature the alphabet and animals. Available in multiple shapes and sizes. 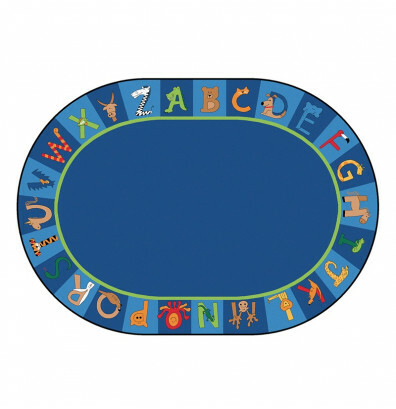 Carpets for Kids A to Z animals classroom rug offers a quality wrinkle and crease resistant surface. Includes a design that shows letters of the alphabet and their animal equivalent such as "A" for alligator and "B" for bear to help children learn. 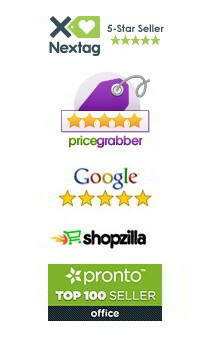 Well suited for group activities like circle time and classroom organization. Available in multiple shapes and sizes.